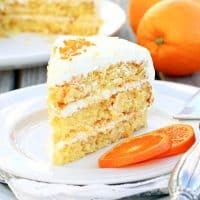 EASY PINEAPPLE ORANGE LAYER CAKE — Infused with tropical flavors like orange and pineapple, and frosted with a pineapple whipped cream, this easy layered cake is as pretty as it is delicious. This Easy Pineapple Orange Cake is so moist and delicious, and more importantly, it’s pretty quick and easy to put together. Layer cakes are not my forte, so if I say it’s easy, well…..that’s really saying something. The biggest trick when it comes to layer cakes is baking your layers in separate pans. I resisted buying a third cake pan for years, and insisted on cutting my cakes in half horizontally when I wanted to make more than two layers. I don’t usually opt for more than three layers in a cake, but no matter how many layers you want, just get that many cake pans. Trust me on this. 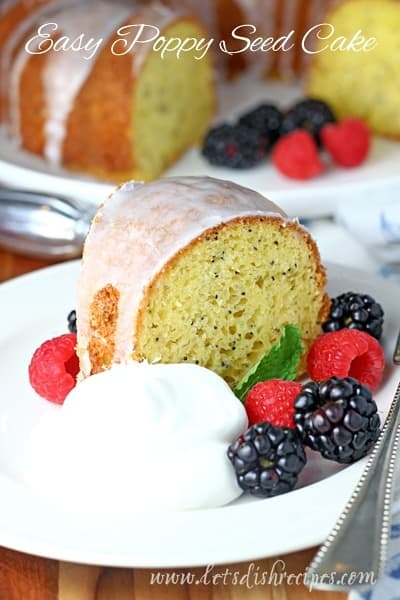 For a less indulgent cake, you can substitute light, fat-free or sugar-free ingredients in this recipe, and replace the oil with applesauce. Because of the whipped cream topping, it’s best to store any uneaten cake in the refrigerator. 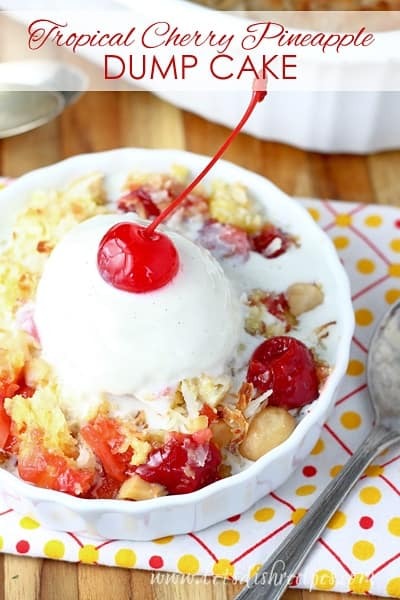 This is a perfect dessert for Easter dinner, as well as those warm weather barbecues and summer holiday get-togethers. My entire family raves every time I make it! 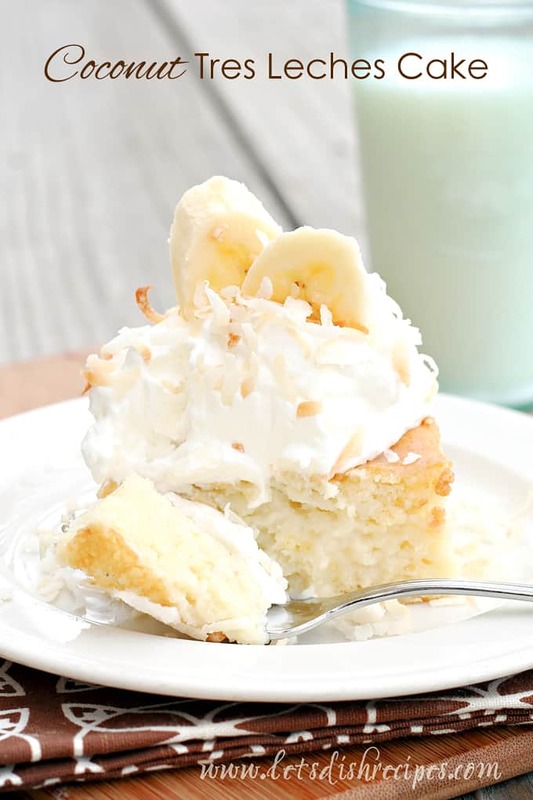 Infused with tropical flavors like orange and pineapple, and frosted with a pineapple whipped cream, this easy layered cake is as pretty as it is delicious. Frost in between each layer, and the top and sides of the cake with the pineapple whipped cream mixture. Refrigerate cake until ready to serve. I don’t care for pineapple, but THAT looks good enough to eat! Every single cotton pickin time I come over here I leave STARVING!!! Shame on you for posting up such wonderful recipes!!! YUM!!! I am linking this one up on Midchix.com in the Mama Can Cook Flock l! If there is anyone in Blogland who wants to link up some good recipes you can do the same! Mine are not as good as these but one can dream! I am looking for something to make with my hamburger meat,,,heading over to your Favorite Dishes right now! Oh so glad you found me, so that I could find this … I mean you:)! I’m following and can’t wait to get cooking. Everything looks wonderful!! I keep coming to your blog for more great recipes. Keep up the good work! Sounds like a delicious combination. I’m pinning. Can’t wait to try your recipe. This cake is gorgeous and I’m sure delicious. Yum! That looks delicious! I think I will make this for our Easter lunch! Thanks for the recipe! HUGS! I’m splitting one box of cake mix into 3 pans correct? Thanks! Danelle – just an update, I made this for the office today, and it was a HUGE HIT. People just raved and raved about it. Very easy to make and gets lots of compliments. Thank you so much for adding this to your website. Dear Reader, I have baked this cake for many years. I have made layers and sheet cakes, and I see no reason that cupcakes could not be used. Freezing does not harm the flavor; just wrap tightly and take out when ready to serve. This cake is a wonderful dessert, winter or summer; serve with coffee, tea, or good old ice water! Sounds absolutely wonderful. If making as a 9×13 how long would I bake it? Thank you. Can’t wait to make this. I would say 25-30 minutes for a 9×13 Bobbi. Am I splitting the one box of cake mix into 3 cake pans? You probably could, but the canned oranges are what makes the cake so moist and delicious, so the cake would probably be a little more dry. 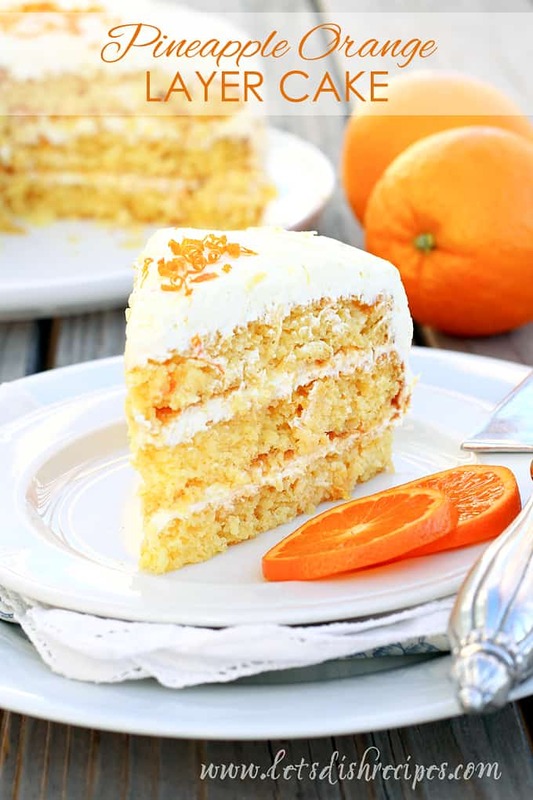 when you say a “box of yellow cake mix” , do i do all the other things the box calls for (add oil and eggs per the box recipe) as well as the items you listed to make the pineapple orange cake mix…. i am pretty sure no one will be reading this on Easter Sunday, but i sure would like to make it today if anyone has an answer to this question. cant wait to try it! I use Duncan Hines Yellow Butter Cake mix. Follow this recipe, not the one on the cake box. Been making and giving to friends for years, Everyone wants the recipe. Can you make this cake as one layer instead of 3 layers? I don’t like icing three layers. I am making this cake for a dinner party. I plan to assemble the cake on the morning before the party and store it in the refrigerator. Should I wait until later to frost the cake? Do I need to let the cake come to room temperature before serving? I don’t think you need to wait until later to frost it. But I think cakes do generally taste better served at room temperature. Straight from the refrigerator would still be fine though. Should the cakes be cooled prior to frosting?